A big moment this week as I started working on, that is actually writing, my book on Vic & Ed industrial architecture. 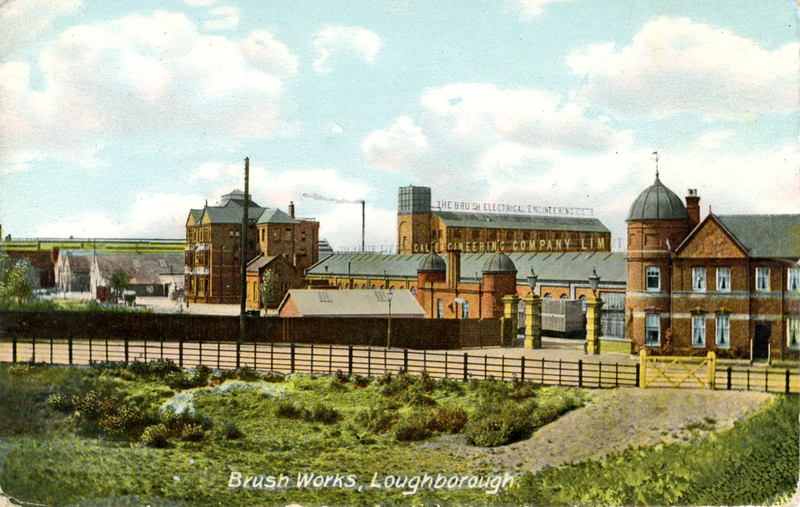 I’ve been having a fine time travelling around to obscure locations to take photos of some of our remaining factories and works, and also collecting archive images, often in the form of c1900 era postcards, like this one of the Brush Engineering Works in Loughborough. Any and all roof ridges were fair game for display of the company’s lengthy name. The old postcards and prints really help with visual evidence of what factories looked like; any remaining buildings have often been largely altered and simply don’t show the structures as the Victorians saw them. Factories are a really underestimated building type. By the way, a warm welcome to any readers who have arrived here from the Built for Brewing blog. The frequency of posts here will probably be less than one a week, but I hope to entertain with some good illustrations of our works and factory heritage, while plodding on with the text. Happy Christmas everyone! This entry was posted in Built to Brew, Industrial architecture. Bookmark the permalink.